A writers' reunion and a fresh reading of the pilot reminded us all why "The O.C." is so much more than a guilty pleasure. And with those words and the telling one withheld, the final event of ATX Season 5 began. Though not as prestigious as “The West Wing” — which also held a celebrated reunion at the Austin TV festival — nor as prominently placed as the “Closing Night” honoree (“Ugly Betty’s” elaborate celebration), “The O.C.” Creatives Panel and Script Reading was one of the most exciting, fun and relevant — yes, relevant — activities of the four-day festival, if not the year so far. With creator Josh Schwartz, writers Stephanie Savage and Leila Gerstein, and music supervisor Alexandra Patsavas, the Q&A portion was fast and focused. Led by Sepinwall, the panelists were peppered with quick questions they answered with efficiency and insight. Arcade Fire was the one band they couldn’t get for the show. “That’s all I’m going to say,” said a clearly disappointed Schwartz. 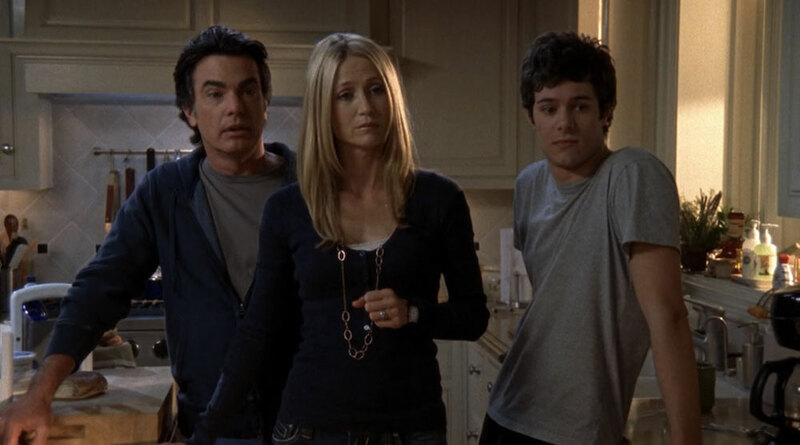 Chrismakkuh, the combination holiday of Hanukkah and Christmas created by Seth Cohen (Adam Brody) on the show, was not, in fact, a tradition celebrated by Schwartz prior to its implementation on “The O.C.” That was something the writers came up with, as a group, in the room. “I did own that sweater that Seth wears, though,” Schwartz said. Other current celebrities who got their start on “The O.C.” include Shailene Woodley as Marissa’s younger, who was later recast (“I wonder what happened to her.”), and Chris Pratt, who the writers loved working with in order to bring some comedy back to the show in Season 4. But after hearing all these facts, reminiscing about the past and then experiencing the script read live by new cast members, only then did “The O.C.” seem not only like a nostalgia-infused favorite from yesteryear, but a relevant piece of the modern TV landscape. For starters, the only cast member from the series to reprise his role on Sunday was Tate Donovan as Jimmy Cooper, Marissa’s father (who’s lovable as hell but horrifically bad with money). Otherwise, the parts were played by fresh faces and, more importantly, the roles were gender-swapped. Mae Whitman (“Parenthood”) was Seth. Matt Lauria (“Friday Night Lights,” “Kingdom”) was Summer, Arielle Kebbel (“Ballers”) was Ryan Atwood, while Patrick J. Adams (“Suits”) nabbed the challenging role of Marissa Cooper. While that may simply seem like either a fun and/or necessary thing to do for a panel being held well after most of the fest’s talent had left town (but still in need of somewhat famous faces), what really made the reading pop went back to something Sepinwall noted during the Q&A. Soaps, an inherently trashy endeavor pre-“O.C.,” even in primetime efforts, were often targeted at female audiences. While perhaps not the direct connotation, the focus nevertheless established a connection between sleazy, unrealistic and overblown scenarios being marketed to a female audience, while more of television’s “prestige” dramas were a) of a higher regard, and b) sold to men (just like most entertainment). But that’s not all: Schwartz also noted during the panel how they wanted to make a series where the adult storylines were equally enticing to the kids’. It’s worth noting Schwartz has said before that he’s never seen “90210.” At the panel, he admitted maybe an episode or a few scenes slipped in somewhere, but he remains largely uninfluenced by the popular (if disrespected) soap when it came to writing “The O.C.” And his show embraced many of the genre’s soapy stories, but they still found a way to make them legitimate; legitimately juicy, yes, but also legitimately good. There shouldn’t necessarily be any embarrassment connecting the two, but what “The O.C.” tried to accomplish was far more ambitious than anything that’s come before and, arguably, what’s happened since: A series bucking the accepted standards, practices and audience of its genre that spoke to an older crowd as much as its younger fans, “The O.C.” is a relevant piece of TV history — whether you welcome it or not. All four seasons of “The O.C.” are available to stream on The CW Seed. This Article is related to: Television and tagged ATX Television Festival, Josh Schwartz, Mae Whitman, The O.C.